After more than 35 years, the Southern Women’s Show In Charlotte is a Queen City institution, and a highly anticipated annual event by Charlotte’s ladies. The 36th annual Southern Women’s Show returns to Charlotte, North Carolina next weekend, Friday, August 24th and runs through Sunday, August 26th! After more than three and one half decades the Southern Women’s Show In Charlotte is a Queen City institution — a tradition highly anticipated by Charlotte’s ladies. So be sure to clear off some time in your schedule next weekend to attend the Southern Women’s Show. It’ll be three days of fun, fashion, beauty, shopping, and more! What Will You Find At Charlotte’s Southern Women’s Show? Mother-Daughter Day on Saturday, which will include the fourth annual Mother-Daughter Look-a-Like Contest with the winning Mother-Daughter team receiving a grand prize of $500, a $1,000 gift certificate from Premier Plastic Surgery, plus a portrait by Photographic Elegance. Women in Education Celebration — teachers presenting a valid ID will receive free admission to the event on all three days of the show. Girls Night Out on Friday evening from 4-7 pm, which includes free admission after 4:00pm. Salute to Women Veterans — free admission all weekend with a military ID. Opening Day Breakfast — Bank of America and the Southern Women’s Show celebrate women business owners with an Opening Day Breakfast. You have a chance to listen to an interactive panel discussion by top women executives and business owners. — Youth: $6.00 (ages 6-12) | Children Under 6 Free With Paying Adult. So clear off your schedule for next weekend and come check out this Charlotte “institution,” the 36th annual Southern Women’s Show. Whether you come for one day, two days, or all three, it’ll be three jam-packed days of fun and an experience you won’t soon forget! This information about Charlotte’s 36th Annual Southern Women’s Show is provided by Nina Hollander and Carolinas Realty Partners, RE/MAX Executive, your Charlotte metro area real estate consultants. The 36th annual Southern Women's Show returns to Charlotte, North Carolina next weekend, Friday, August 24th and runs through Sunday, August 26th! After more than three and one half decades the Southern Women's Show In Charlotte is a Queen City institution, a tradition and highly anticipated by Charlotte's ladies. 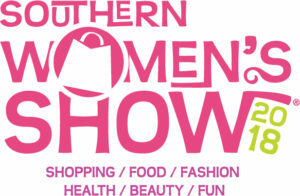 So be sure to clear off some time on your schedule for next weekend to attend the Southern Women's Show. It'll be three days of fun, fashion, beauty, shopping, and more!